Adam J Purcell, Andy Simpkins and Keith Dunn sit down, superbatted, in front of ITV’s Primeval Series 1, Episode 6, and spout our usual nonsense! 01:47 — Doctor Who: Another Script to Screen competition. 02:56 — Star Trek: Sherlock & Mickey Smith join Star Trek 2. 03:58 — Being Human: Another cast member quits the programme. 05:54 — Karen Gillan: Award nominations and she takes Manhattan. 08:09 — Benedict Cumberbatch: Held at gunpoint in South Africa. 09:35 — Doctor Who: Amateur stage production of Midnight. 10:36 — Doctor Who: Moffat tweets about Sophia Myles, rumours go mad. 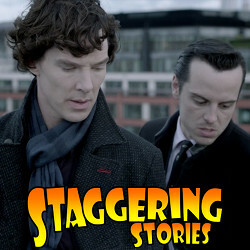 13:29 – Sherlock: Series 2. 29:02 – Retrospective on the year 2011..
54:41 – Predictions Competition Winner..
115:38 – Farewell for this podcast! 116:11 — End theme, disclaimer, copyright, etc. Wikipedia: Untitled Star Trek sequel. Adam J Purcell, Andy Simpkins and Keith Dunn sit down, caretakered, in front of the 2011 Doctor Who Christmas Special, The Doctor, the Widow and the Wardrobe, and spout our usual nonsense! BBC: Doctor Who – The Doctor, The Widow and the Wardrobe. Wikipedia: Doctor Who – The Doctor, The Widow and the Wardrobe. 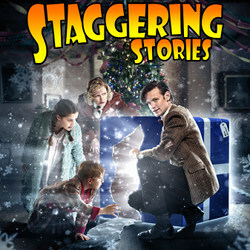 02:09 — Doctor Who: 2011 Christmas Special did well. 03:51 — 3D Films: Whedon’s Avengers and Abrams Star Trek 2 to be converted from 2D. 08:00 — Doctor Who: Worlds in Time MMO open preview now available. 09:31 — Star Trek: Drink your tea out of Dr McCoy’s head! 12:11 – Doctor Who: The Doctor, The Widow and the Wardrobe. 28:13 – Bill Bailey’s Doctor Who Theme. 33:33 — How wrong we were: Predictions for 2011. 52:47 — How wrong we were: Fears for 2011. 57:43 — How wrong we were: Hopes and Dreams for 2011. 44:36 — Predictions for 2012. 52:47 — Fears for 2012. 57:43 — Hopes and Dreams for 2012. 106:41 – Farewell for this podcast! 107:17 — End theme, disclaimer, copyright, etc. Doctor Who: Worlds in Time MMO. Mister M’s Review of Misfits S1 and S2. The 20MB Doctor Who Podcast. This missed Christmas, so let’s instead try to fight off those New Year blues! To this end, we proudly present a new Mr Dalek Audio Adventure on our podcast feed. 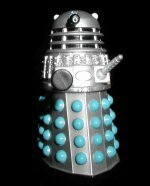 This exciting story, new to audio, is written by long time Mr Dalek fan, Benjamin F Elliott, and narrated by Siobhan Gallichan in the unique Unwinese language (kindly translated for us by John Ranson). So, prime your sucker arm for Mr Dalek and the Twenty Throod of Novemby!